In the 1980s, RadioShack was where you went back to the future. Gadgets galore, electronic parts, CB radios, anything electric or wired—from mundane goods (AA batteries) to geeky fun (radio controlled toys)—could be found. Fast forward thirty years and, considering the brand strength and head start the now-94-year-old franchise enjoyed over its competitors, RadioShack should be king of the electronic and digital universe. This franchise should have been the Pied Piper that led consumers both down the street into their brick and mortar locations and then transitioned us onto the 1990s’ information superhighway with a leading online presence. Instead, the radio frequencies grew increasingly faint, and then the music finally stopped. As you may have noticed, RadioShack has filed for bankruptcy. The firm has requested permission from its creditors to close more than 1,700 of its 4,300 US stores. RadioShack shares trade at less than a quarter, down from over $85 during the late 90s’ Internet bubble. And beyond its financial woes, RadioShack’s customer experience strategy has suffered the fate of so many other icons of the 80s: the kids today just aren’t buying it. How did one of the best known retailers of phones, computers, and gadgets fail in a world where during the last twenty years consumption exploded for all things phones, computers, and gadgets? Perhaps the explosion itself killed the RadioShack model. After all, in 1980, your typical RadioShack could have offered a full breadth of personal computers, stereo components, answering machines, latest-model Walkmans (remember those? ), and cordless telephones in just one shop. In other words, RadioShack could be everything electronic to you. It didn’t have to specialize. But by 1995, companies like RadioShack needed to have a niche—as RadioShack once did. Back in their heyday, their core market had been hobbyists. 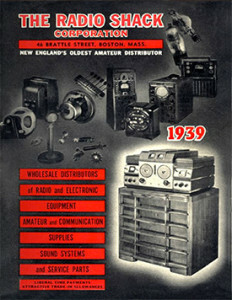 The RadioShack staff was well trained in their products, and consumers paid a premium for name brand as well as house brand products and solid advice on every kind of transistor and cable needed to soup up their homemade radio. 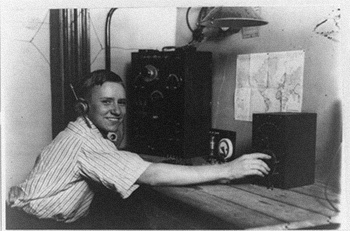 Then people stopped building their own radios. RadioShack’s core market disappeared. At the same time, the volcano of electronic products continued to erupt. The variety of flip-phones, tablets, PDAs, personal stereos, and PCs became too diverse to master. Other retailers tuned in and specialized. Mobile phones became buyable from kiosks in malls, often right outside RadioShack’s entrance, with discounted prices direct from the network provider. Gateway and Apple began to sell their own products, bypassing third-party retailers. This shift meant that the only way to be everything to everyone was to have a much larger retail footprint—which Circuit City and CompUSA did and Best Buy did better, all of whom grabbed market share. This left “The Shack” still trying to carry a little bit of everything across about 5,000 retail stores internationally. With such a breadth of product, the staff now couldn’t become experts about everything; they didn’t have the full inventory of specific product lines; and they weren’t as cheap as deals found on the Internet. RadioShack wasn’t without its attempts to solve the increasing disconnect with potential customers. They briefly tried to sell via kiosk locations inside of Walmart stores, and sadly, they were victims of their own success, considered too much of a threat and kicked out when their contract ended. But the real tragedy of their failed strategies has to do with their own Internet presence at RadioShack.com. A dozen mistakes were made on their website—from outsourcing the ecommerce business to not being competitive on pricing to just not getting it. No dedicated senior-level strategist, for example, was hired to manage their online space, and it showed. Walmart aims for 30% of revenue to come from online sales. RadioShack, however, averaged 1%. In 2014. The need for a digital transformation apparently never clicked with RadioShack’s senior management, so it’s no wonder customers didn’t click either. By failing to compete at the retail level and, more importantly, failing to focus online, RadioShack spread themselves too thin. Today, with 4,300 locations nationwide, they’re now trying to rapidly close down stores in an effort to reduce payroll, rent, and inventory costs associated with such a massive network of storefronts. But the problem isn’t just financial. If creditors don’t agree to proposed store closures and buyout bids, the rapid RadioShack rebrand they desperately need will be hard to execute across such a large network. And reinvention is critical if the RadioShack brand isn’t to be dissolved completely. Their brick-and-mortar proliferation was a source of pride, and rightly so, in the pre-Internet era, but now that store saturation seems more like a waste of years of money that should have been invested in RadioShack.com. Which all begs the question: Did they really have their customers’ convenience in mind by ignoring the Web for so long? Amid RadioShack’s downward spiral, it’s at least continuing to ignore its customers’ interests in innovative ways. The latest reports claim that the company is now considering selling its vast database of personal consumer information—some of which AT&T claims belongs to them—as another asset to be liquefied as they scrounge for desperately needed cash. Who knows how much the data is worth? But the idea of selling data that it specifically promised customers it wouldn’t share—they were, by the way, one of the early adopters of collecting customer data by requiring a name and phone number when making a purchase—probably isn’t going to go over well in the court of public opinion. There’s customer loyalty, and then there’s loyalty to your customers. Both tend to work better together. So if they sell the data, make some money, save some stores, and reinvent themselves, RadioShack can conceivably build it…but will anybody come?